I was just curious as to whether or not anyone had information on the subject. I believe heard/read that the train tunnels from the original Coney Island & Lake Como Railroad are still standing. Is this true? I could certainly be incorrect. If I'm not completely insane and just making this up, do pictures of these exist? Are the visible from the park today? My understanding is that they are, in fact, still there. I think security parks their bikes down there. I do not know whether there is still track or not. Thanks for the info. I'd love to see what's left, assuming I'd be allowed to. Don't wanna land in Coney Island jail. I think Coney Island Jail was transplanted to Kings Island in '72. Yes, the tunnels are still there. They are actually more like bridges than tunnels. If you park in the Group Sales lot or go to something at Moonlite Gardens, then you pass over these tunnels. There is no track left, and security does park their bikes in them. There is actually a third bridge/tunnel that carries the runoff from Lake Como into a creek. There really isn`t much to see, and the tunnels are surrounded by trees on both sides, although they did just trim the trees back a little bit. 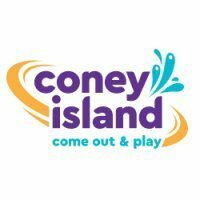 If you visit Coney, be sure to check out the new museum exhibit located by the Swing a Round ride. Some very cool photos and artifacts in it. Thanks for all the info! And yes, I love the new exhibit. My absolute favorite part of the park! Yep still there under the west gate entrance. I've driven/walked over then at least 3 or 4 times this summer and had no idea. They spent a lot of money on the special effects. I believe they added them in 1969. I think something along the lines of the CI&LC Railroad would be a welcomed and successful addition to Coney's lineup. Obviously with the parking lot it would be built elsewhere. But really. That would be rad. The parking lot in its current configuration wouldn`t pose an issue to recreating the train in its original layout. The issue would be the location of several other rides. The new Como Cruisers dock, River Runner and Tempest all sit on the area that used to be the train station. I always figured the bulk of the layout was back towards the parking lot. I had no idea. Regardless, I love Stricker's Grove train and would really like to see something like that at the park.